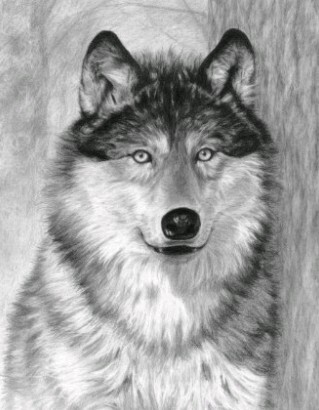 Learn to draw this gorgeous Wolf by purchasing the Alpha Wolf Sketching Made Easy Kit. Everything is included to complete this design. The Kit includes 6 Sketching pencils, 1 Preprinted Board, 1 Pencil sharpener and 1 Eraser. Makes a nice Wolf gift.